Are Your Heating Bills on the Rise? Furnaces provide homes in our area with heat using natural gas, electricity or fuel oil. At BPP, Inc., our team has the experience and knowledge to ensure that your furnace is well-maintained. We offer expert furnace repair. Should you need an upgrade, we can size and install an energy-efficient furnace or heat pump that meets your needs. 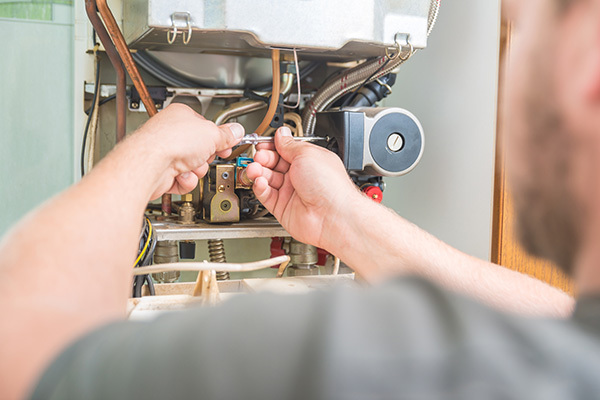 Whether your home has a gas furnace, boiler or heat pump, BPP can identify any problems in operation, test for efficiency and, when necessary, help you identify the best HVAC solution for keeping your home warm and cozy. When our customers are looking for a new, energy-efficient solution to their home heating requirements, BPP takes a whole house approach. This will ensure that your furnace—and your air conditioner, if needed—are sized correctly and use their energy wisely. When sizing your new energy-efficient heater, we often will conduct an energy-assessment and/or ductwork inspection to correct any leakage or misdirection. We’ll test the volume of your current ductwork and your living areas to determine the best solution for your home’s specific needs. These furnaces provide heat by burning natural gas available through a local utility. The furnace heats the air and then a blower fan will distribute it through the home via ductwork. Boilers are less common in our area, but they are out there! Boilers heat homes by heating up a tank of hot water that is distributed by a pump through baseboards or radiators. Boilers often provide primary or secondary domestic hot water. Heat pumps use heat from outside air to warm or cool air for distribution into the home. Large units that provide whole house heating and cooling are powered by electricity, and thus are a good partner for solar panels. Smaller ductless heat pumps, also called “mini-splits,” can provide a high-efficiency heating and cooling option for room-sized areas. Financing & Incentives Available – Contact Us Today! If you’re concerned about the cost of a new furnace, we can help identify attractive financing through California’s PACE financing. There are many other rebates and tax incentives available to improve your home’s energy efficiency. Just ask us for the details! Ready to upgrade or repair your furnace? Contact our team today by calling (925) 256-1092 or by completing our online contact form.